Tallow Enterprise Centre - Tallow, Co. Waterford, Ireland. 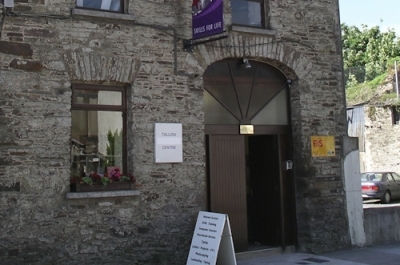 Tallow Enterprise Centre came into being through the foresight of members of the Tallow Enterprise Group, which was formed in 1986 in response to high unemployment in the area. A grain store on West street in Tallow was renovated, renamed Nora Herlihy House (after one the original founders of the Credit Union organisation) and duly reopened its doors to the public as The Tallow Enterprise Centre in 1989. Tallow Enterprise Centre is open Monday to Friday from 9am until 5pm and has a friendly, skilled staff only too happy to help all members of the public. The services offered include Office Administration support, Photo copying, faxing, typing, C.V. compilation, laminating, binding, business cards, booklets etc. The media centre provides computer classes at all levels from raw and nervous beginners to E.C.D.L and E.C.D.L. Advanced. The skilled media staff are always on hand to provide assistance when members of the public using the computers need it, for example booking flights, checking in for a flight online, paying motor tax online, skyping and much more. If you need your computer to work for you talk to our staff for advice about computer/tablet use, classes or one to one help. Art, Quilting and Pilates are just some of the leisure classes that Tallow Enterprise Centre run. There is also a very active knitting group and an energetic Active Retirement Group, 'Tallow and District Active Retirement Group' who enjoy trips away and hold social, recreational activities, workshops and talks at the Centre. Tallow Enterprise Centre is the home for Tallow's Pre-school 'The Children's Playroom'. Tallow Enterprise Centre reaches out to all age groups within the community of Tallow and its surrounding areas providing support and assistance to all who need it. Rooms available for Meetings, Workshops, Seminars and Courses. Beginner's Computers and & Computers for the Terrified - If you are nervous of using computers and have little or no knowledge, we have courses to make learning fun in a relaxed informal atmosphere. Older Beginners - There is no age limit to learning how to use computers. As we get older communication and contact with the outside world is important and computers allow us to do many things, such as talking to friends and family around the world, shopping, booking holidays, online banking etc. ECDL & ECDL Advanced - European Computer Driving Licence. We are a certified training and test centre for ECDL which is an internationally recognised qualification in Information and Communications Technology.